I’ve been using DuckDuckGo as my default search engine for several months and haven’t looked back. It has !Bangs, an incredible attitude towards privacy, and a ton of other great features. 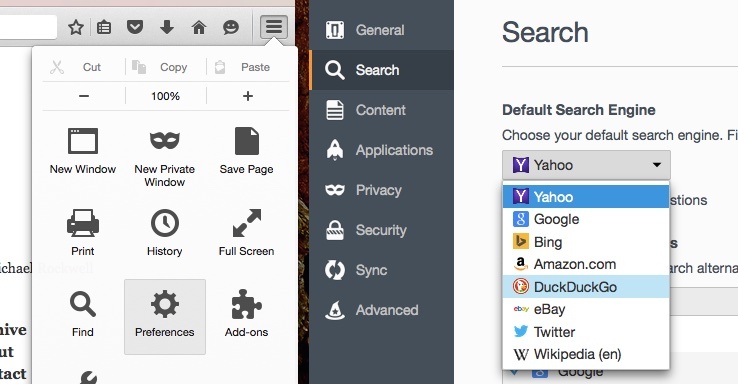 DuckDuckGo offers a better search experience without all the creepiness that comes with using the alternative. If you spend just a few days using it full time, I’m certain you’ll be happy with it. And, the best way to give it a try is by making it the default search engine in your browser of choice. 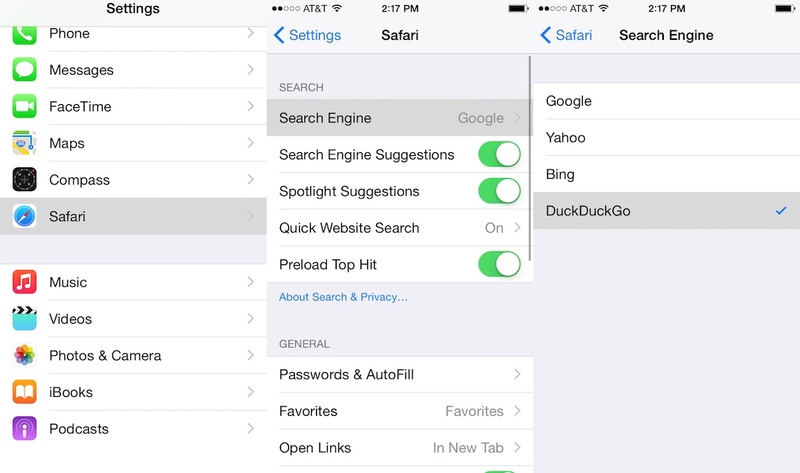 Below, I’ve detailed the steps necessary for switching to DuckDuckGo in iOS, Safari, Google Chrome, and Firefox. If you have any questions or comments regarding the guide, don’t hesitate to contact me.